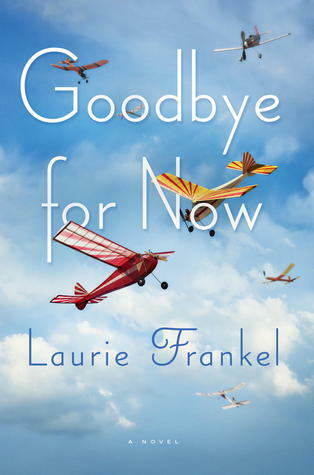 Goodbye for Now is a fabulous novel. Unique, thought provoking and tugging on emotional heartstrings, this quirky cast of characters and storyline kept me flipping pages well past when I normally turn out the lights. So much could have gone wrong with this novel, but Frankel pulls it off with wonderful, warm characters and humourous prose. The idea of being able to talk to loved ones after they’re gone via video chat should have come across as creepy and disturbing, but instead I found it charming and lovely on certain levels and a bit worrisome on others. My own grandmother used email over a decade ago before she passed away and if she had been around today, she most definitely would have been on Facebook and Skype and I probably would have chatted with her as much as Meredith did. This made me really relate to the novel and I found myself wondering if I would have used such a technology if it was available when she passed away. I couldn’t decide during the entire novel if I loved Sam’s invention or hated it. I’m still not sure. I wondered often how it would affect the grief process, just like the characters in this novel came to discover. There were a few logistical things that I kept wondering about – privacy, how access would be gained, etc, but the story covers it to a point and then moves on. I figure there’s no such thing as privacy online anyway, so everything is fair game at some point. It niggled at me a bit, but the story was so engrossing that I let it go and moved on quickly. Still, I’m not sure how I feel about having a digital fingerprint being stored that might be accessible to others one day and it really made me think a bit more about what I do online. In addition to making me think, Goodbye For Now made me laugh, cry and cringe. This fast paced novel has a lot of heart and makes you think – and maybe even worry a little about the future. Pick this one up today if you’re looking for a different read with loads of heart. Thank you to Headline Review for our review copy. All opinions are our own.